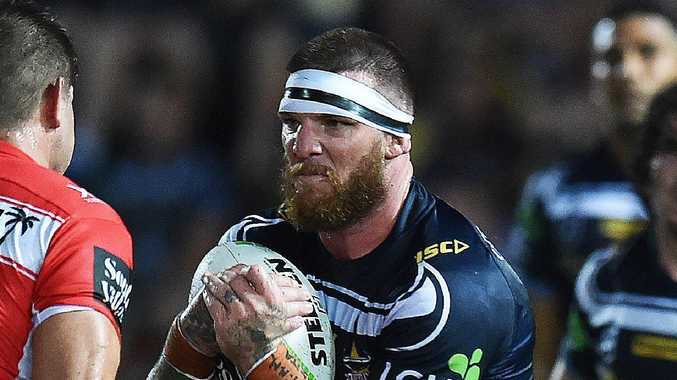 Cowboys forward Josh McGuire admits words will be spoken with old Broncos teammates in the lead-up to his return to Suncorp Stadium on Friday night. McGuire, who escaped a charge from the NRL match review committee for an apparent high shot during Saturday's win against the Dragons, is preparing for the mother of all welcomes when he plays against a young Broncos pack that failed to fire in its season opener last week. The State of Origin and Test forward chalked up 155 meters as part of a Cowboys' middle rotation that played in a different class to the Broncos, with McGuire part of a heavy hitting pack led by Jason Taumalolo with his 301 metres. Since making his NRL debut in 2009 McGuire had only ever played in Broncos colours until Saturday night's game at 1300SMILES Stadium. That decade of being a true-blue Broncos man came to an end in the off-season when the Cowboys snapped up McGuire as the Broncos trimmed their salary cap. McGuire is relaxed ahead of his Brisbane return, but is ready for the inevitable banter that will come his way. "It's just footy, it's banter and that's rugby league," McGuire said. "It's why you play the game and it will be fun. "I have a lot of good mated down there and they have a tremendous young team coming through, and I'm excited too see the guys go around. "Obviously they didn't start the year the way they wanted to, but I don't think that really matters when the Cowboys play the Broncos. "They're always big games, especially at Suncorp Stadium and I've been part of a lot of them for about a decade now. "I know what to expect; it's a sport and I get paid to go out there and do a job." The Cowboys pack ran rampart against the Dragons by using a flexible middle rotation that saw McGuire make a late switch to starting lock, while Taumalolo spent most of the first half on the left edge before switching back to No.13. Taumalolo said post-game he struggled to adjust to the new role despite his matchwinning performance, but McGuire himself said he was relishing it. 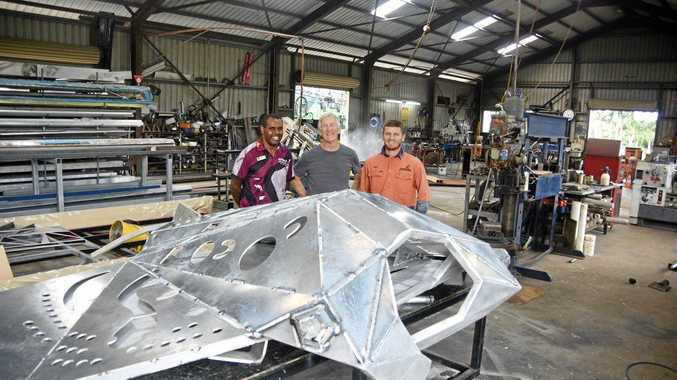 "I knew what I was doing at the time when I got here and I thought it worked well," McGuire said. "I'll do what 'Greeny' needs me to do, but I've played plenty of minutes and I thought I did my job for the team." But McGuire said he was still a work in progress. "Just tackle more, run more...it's a pretty easy game when you're in the middle," McGuire said, who made 26 tackles. "As long as we're winning I'm happy. "It was a good step in the right direction for myself, and I'll keep working on combinations which will take time obviously. "We have a lot of good forwards playing in our team, so we share the load pretty well." McGuire could also have an intriguing showdown with close friend and former Broncos teammate Matt Gillett, who started in the Broncos' lock position vacated by McGuire. "He (Gillett) had a bit of tough ask (against Melbourne) poor fella, I think he made 57 tackles in the middle," McGuire said. "But he's a special player and one of my good mates down there. "He doesn't look out of sorts at all." McGuire is also counting his lucky stars he will not be locking horns against Tauamalolo in his latest Queensland derby. "It makes life easier, definitely," McGuire said. "I don't have to tackle him now, but it's also pretty hard because I have to tackle him every week at training."